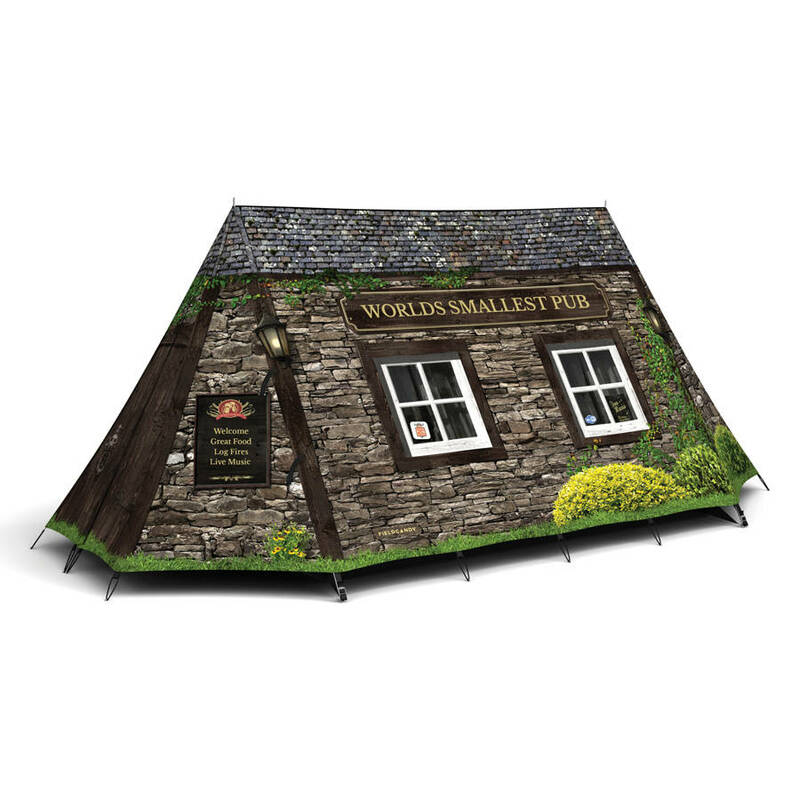 Be the owner of your very own pub with the 'Worlds Smallest Pub' 2-3 person, double skin camping tent. 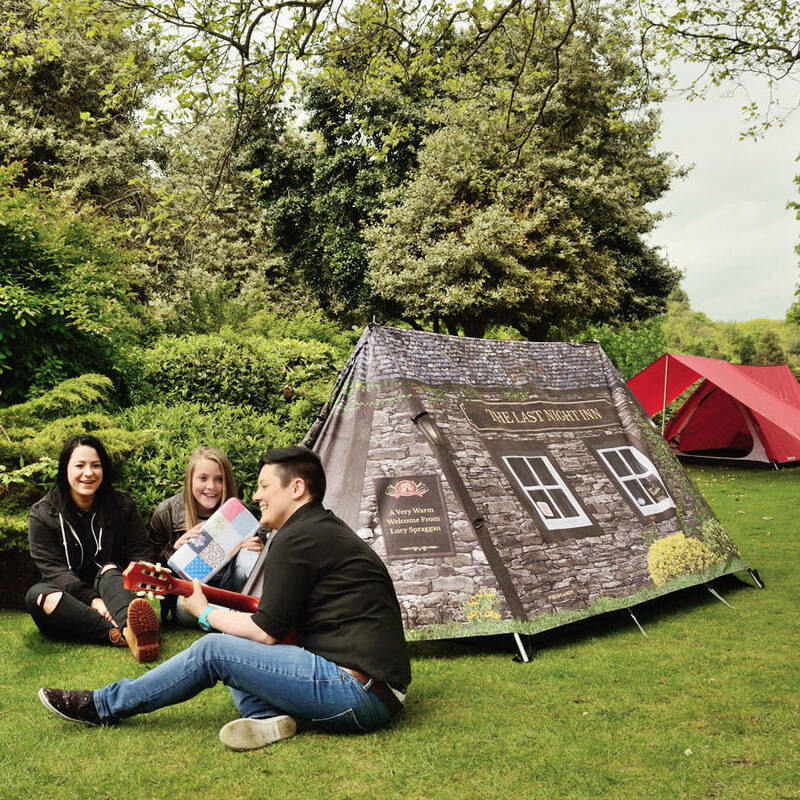 While playing 'Pub Landlord' is lots of fun, this tent is a serious piece of camping kit too. With it's classic A-frame storm construction this tent is 100% waterproof and built to withstand whatever the weather throws at you. 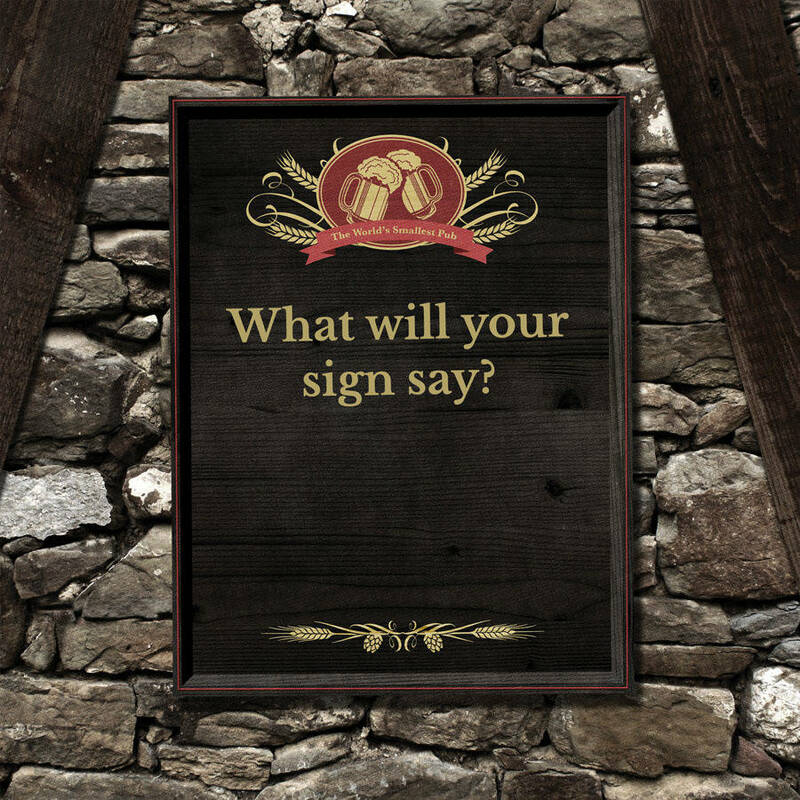 Make your pub tent truly unique and special with personlisation. 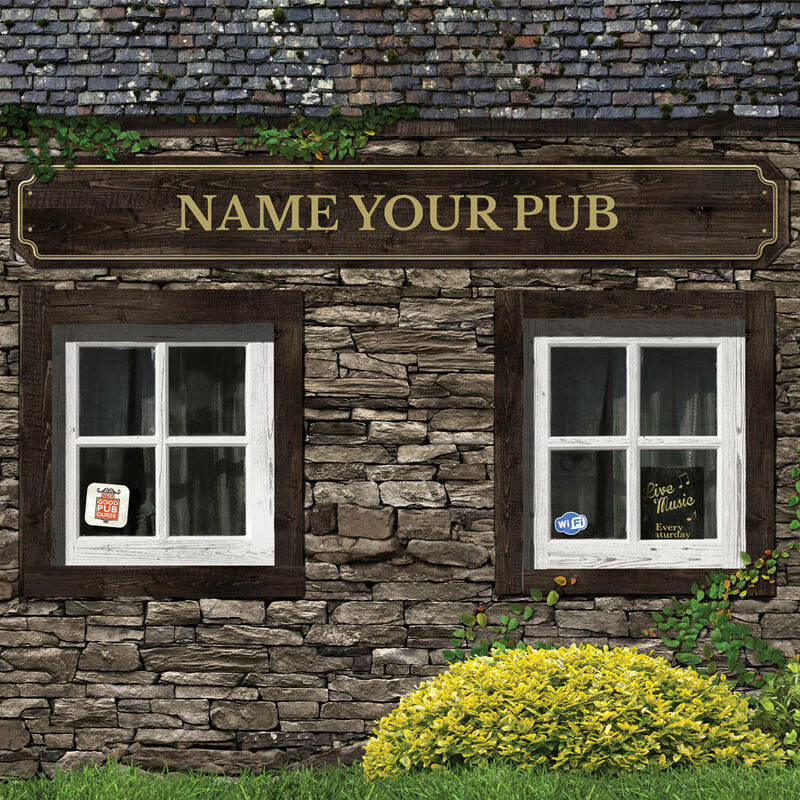 Name your pub and add a sign at the side! 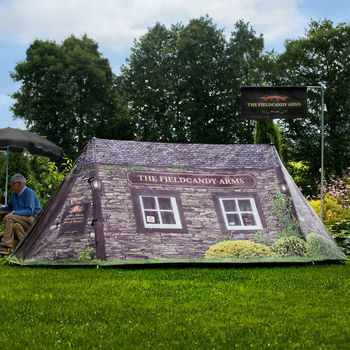 The standard non-personalised version of this tent will read 'Worlds Smallest Pub' on the main sign, and 'Welcome, Great Food, Log Fires, Live Music' on the side sign. Made in England. 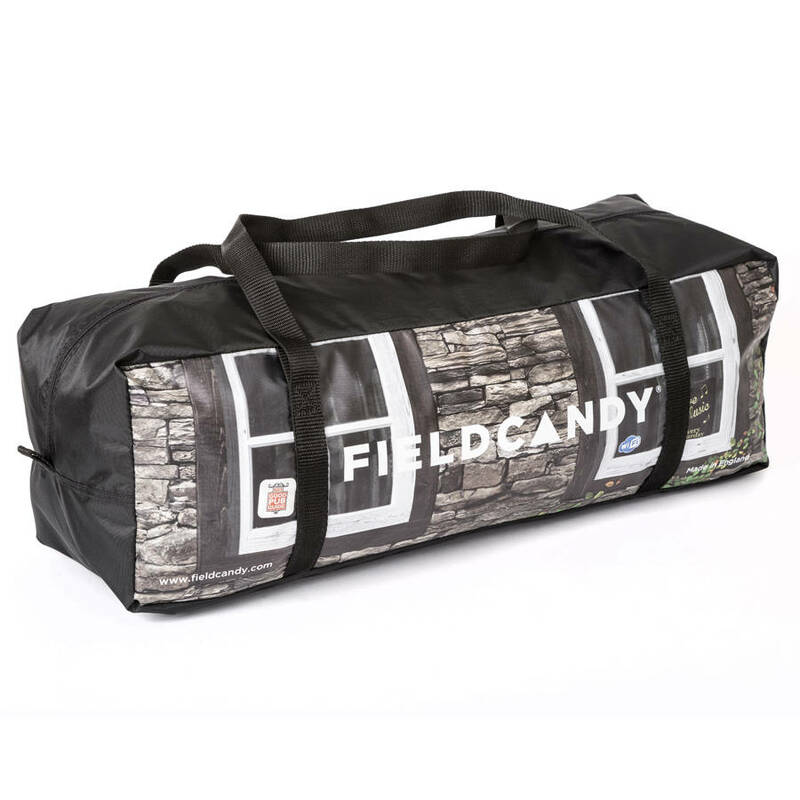 Digitally printed Polyester flysheet. Breathable 100% Polyester inner tent. Aluminium poles and pegs. The tent is 100% Waterproof to 5m Hydrostatic Head, fire retardant to EU and US standard CPAI-84, and UV fade resistant.